I hope you have all woken up to bright sunshine this morning. I have! It’s glorious outside but still very chilly. 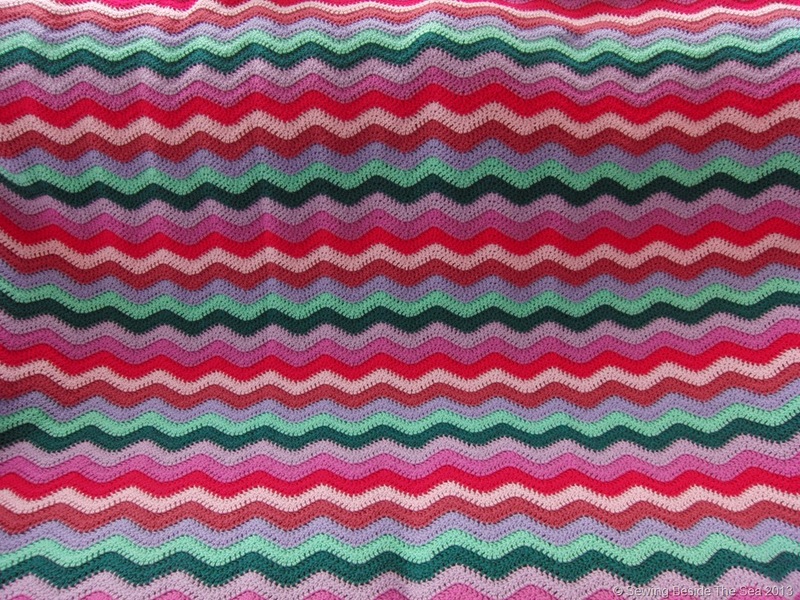 The sun has got it’s hat on and I’m very pleased to announce that my crocheted ripple blanket is finally finished. I’ve let you all have lots of sneaky peeks over the past year and a bit since I started this monster project and it has kept me so cosy while I have crocheted beneath it during the winter evenings I am really happy with the way the edges stayed straight and flat. 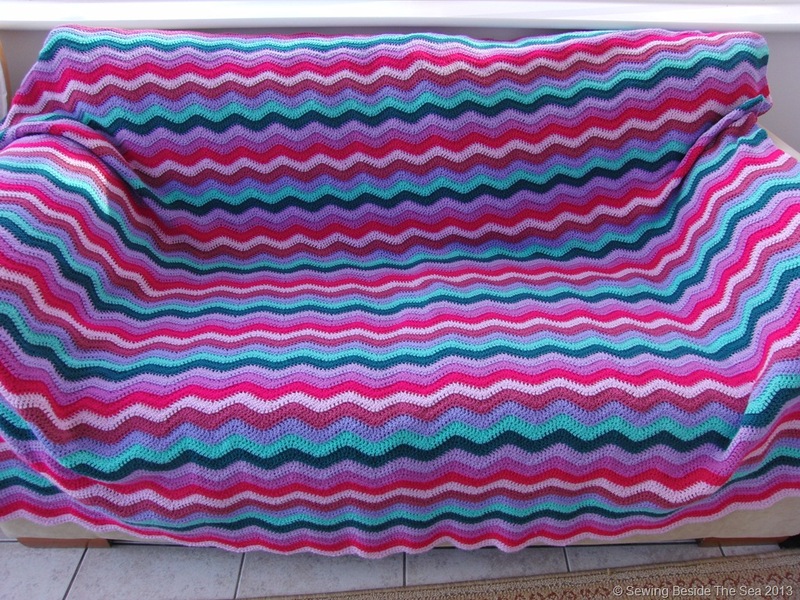 There was no need to block the finished blanket. The other edges have ripples in keeping with the pattern. 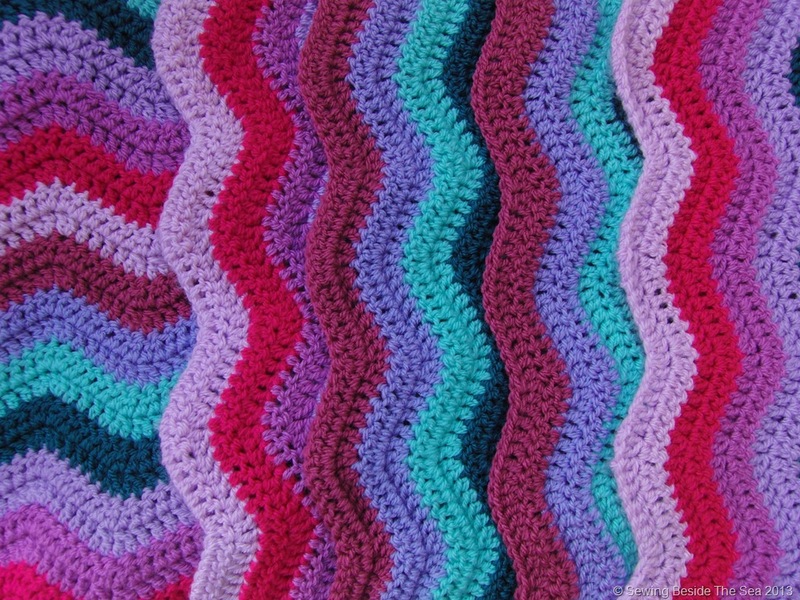 I toyed with the idea of having a border to straighten around all four sides but, no, I’m sticking with the ripples. As I finished off the ends, I thought these looked really lovely and couldn’t resist another photo. 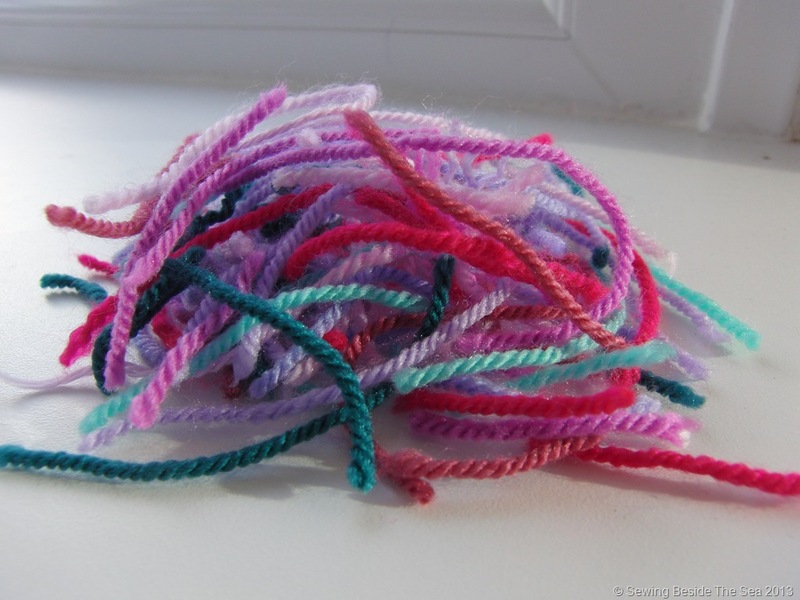 This is what I have left from 1600 grams of yarn. What will they become? Well, I have a few little bundles of inspiration in here. 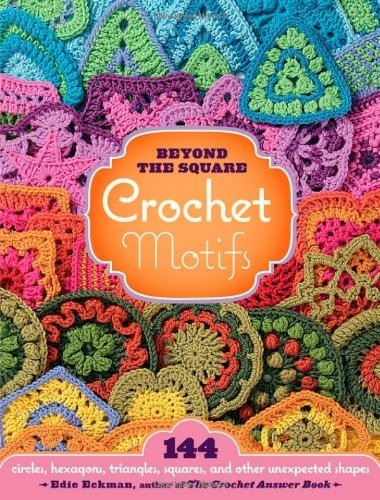 This will be perfect for playing around with scraps and I can’t wait to get started. 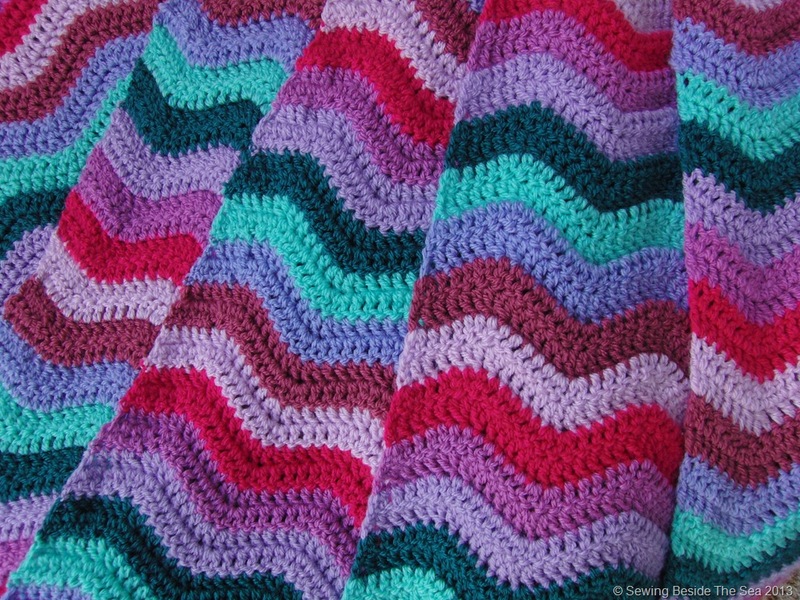 If you’d like to make a ripple blanket, the pattern I followed is here. 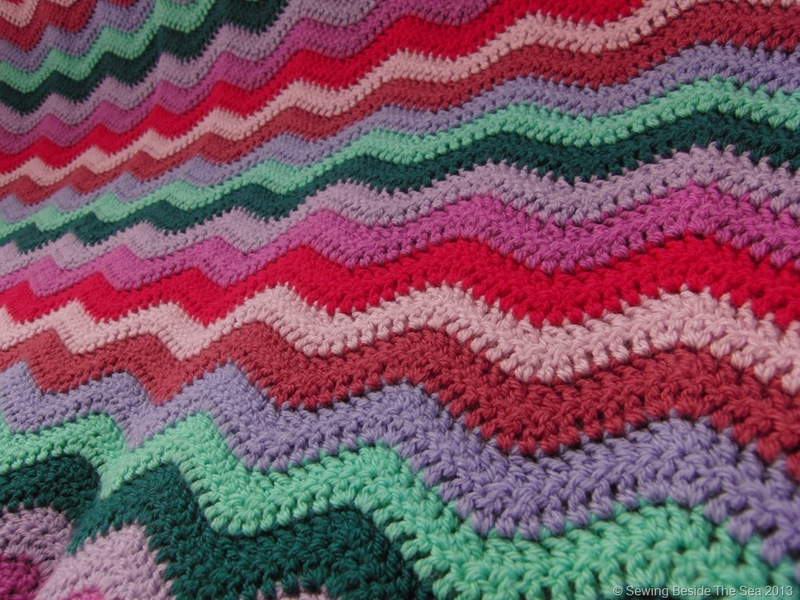 Lucy’s blog is fantastic and the pattern is perfect!! This is the first pattern I have ever followed. I’m a complete novice at crochet and look what happened. So, if you are sitting there thinking “I don’t think I could do that”, you could! The only thing I would say is, if you use the pattern I’ve linked to, use a bigger hook just for the first chain. It needs to be slacker so the ripple lies flat. This work in progress jumped out of the cupboard at me…literally! I’d been meaning to get it out again to finish it before the end of the winter as it is lovely and warm to sit under while I crochet. When I opened the cupboard door to get something else, a huge black bag tumbled out containing this unfinished ripple blanket. The pattern has been made very simple by Lucy over at Attic24. 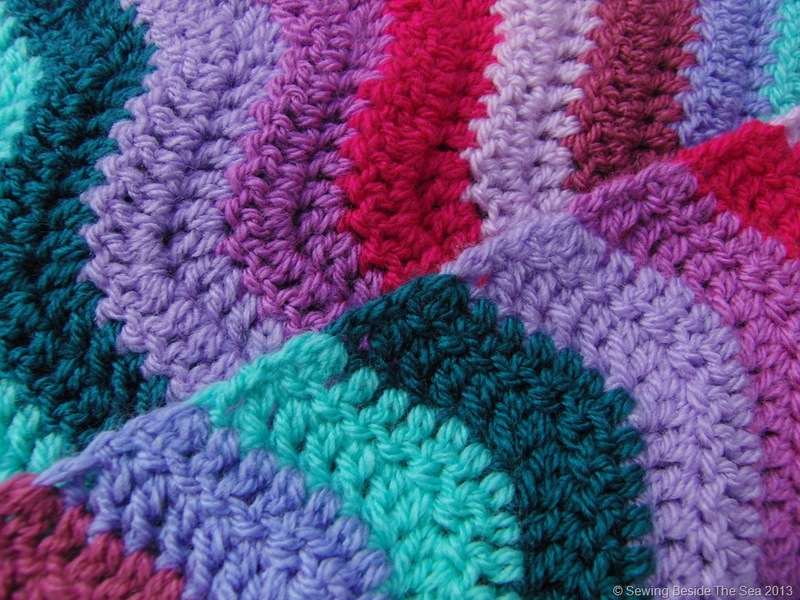 It is a lovely blog full of brightly coloured crochet goodness and her tutorial pattern for the ripple blanket is here if you want to try it. The only thing I would say if you do try the pattern is to make sure you create a slack starting chain. Alternatively, use a bigger hook than for the rest of the blanket. Mine bunched up badly the first time and I had to pull it out and start again. 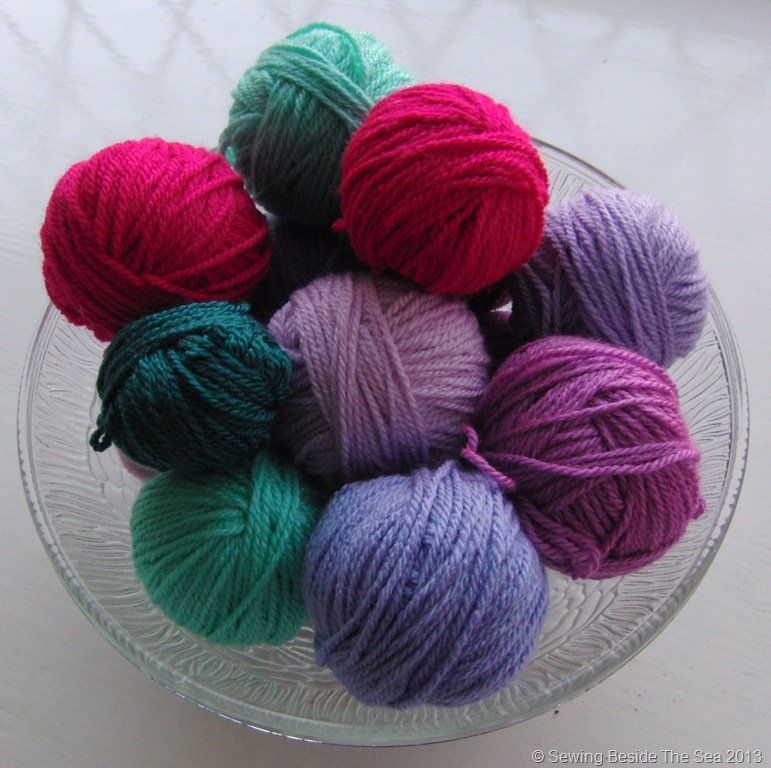 I hope the New Year has got off to a crafty start for all of you too!